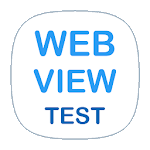 Prior to the development of hybrid applications, it is possible to conduct a test according to the WebView option. 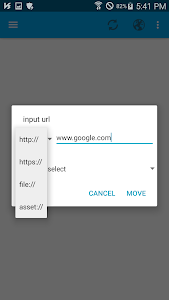 - Allows you to import web files from Web page connections (.) and file systems. - After connection, the connection history is saved for re-connected. 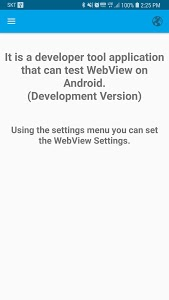 - You can change we WebViewSettings settings through the Settings menu, and you can perform various environmental tests. 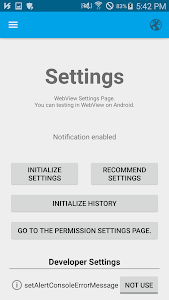 - You can reset the History, WebView settings using the Settings menu. 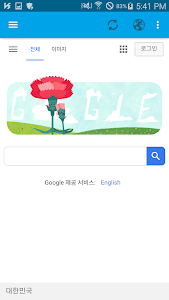 - It can be disassociated using a PC Chrome browser. 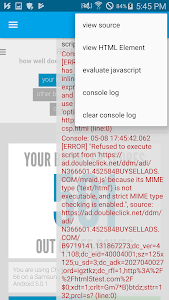 - Allows you to view console logs directly from the app. - Support the Source view. 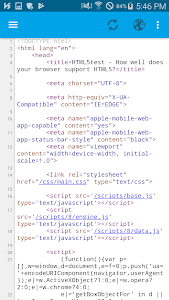 - Support the HTMLElement view. 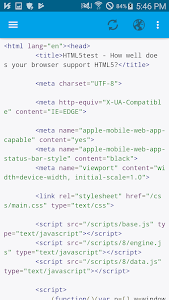 -The version of targetSdkVersion has been changed. 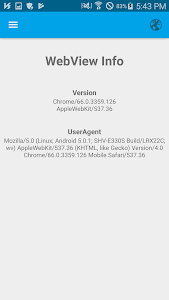 -Added "Desktop mode" development settings.